Will the Return Magic app stay live in the Shopify app store? 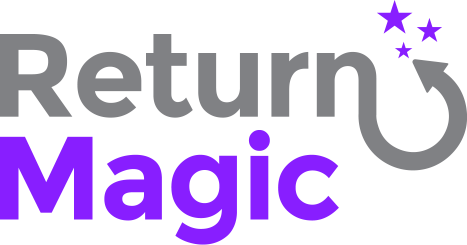 Yes, Return Magic will continue to be available in the Shopify App Store. No, the pricing for both yearly agreements and month over month paying users will remain the same. Will there be any changes to the Return Magic features and their availability? No, there will be no changes in the availability of current features, including beta features. Who should I reach out to for support? What will happen to Return Magic customers who are not Shopify merchants? Return Magic will no longer onboard merchants to platforms other than Shopify moving forward. Existing merchants on other platforms will have several months to find an alternative returns solution. Why did you decide to join Shopify? Our mission was always to provide to small and medium merchants the tools they need to compete against the bigger retailers. Joining Shopify, with more resources and more merchants, is a natural way for us to move faster on the market and dramatically increase the impact we can have. We are extremely excited by the opportunity to join one of the best product organizations in the world. Why has Shopify acquired you? The acquisition of Return Magic is another step Shopify is taking to help merchants own their time by spending it on the things that matter most to their business, while Shopify works on handling the rest. Shopify realises that the post-purchase experience is key for customers, but extremely time-consuming for merchants. This is where our expertise comes into play, to help Shopify create better tools to allow merchants to streamline their post-sale capabilities, especially in accepting and automating returns. Does this mean that now that you’ve been acquired you will “take it easy”? We will never take it easy! Joining Shopify closes the first chapter of the Return Magic story, but will allow us to continue working even harder with more resources to help you provide a magical returns experience to your customers. How will I benefit from this as a Return Magic customer? Shopify will accelerate ongoing improvements to the Return Magic app, as we work to bring native returns support into their core product. This will benefit all of our merchants as we’ll continue working very hard so you can delight your shoppers with your returns experience. What are the next steps for Return Magic? For the following months, we will continue to work on new features within the app. We will also be integrating the latest features released by Shopify to help you create a magical returns experience. Over time, we’ll begin adding returns features into the Shopify platform directly.